A tree silhouetted against the setting sun. Taken as night fell over my old home village of Little Rissington, in the north Cotswolds. 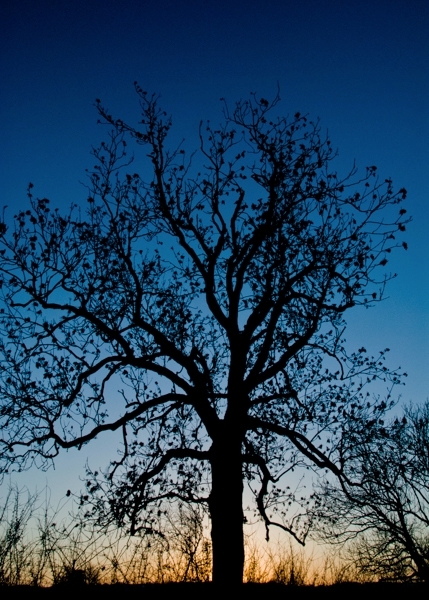 I walked past this tree every day on my perambulations around the village, and on this particular evening in early December I was struck by the wonderful outline of the branches against the colours in the western sky.